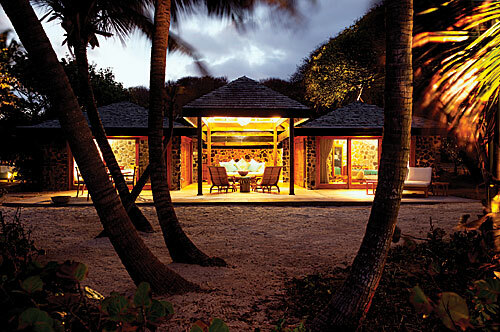 A perfect private island hideaway where lush rolling tropical woodlands meet the pristine heavenly waters and white powdered sands of the Caribbean, Petit St. Vincent resort offers an idyllic setting for the jet set traveler seeking privacy and tranquility. 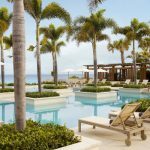 This 115-acre oasis of private island luxury lies just 40 miles south of St. Vincent & the Grenadines and was built into a destination that blends harmoniously with its natural environment. As a guest you not only feel at one with nature, but can appreciate the magnificent ambiance in an ecologically sustainable retreat away from the stressors of everyday life. 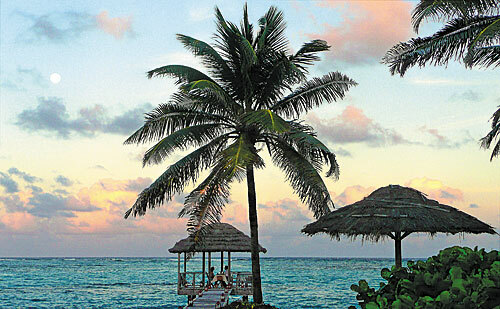 Petit St. Vincent, or PSV, as it is known locally, encourage guests to leave behind all the modern day agitators and surrender to the laid back island way. No calls are allowed to guest rooms, relying on old school methods of communication like their yellow-and-red-flag system. Simply place your request into a bamboo tube and then hoist a yellow flag for service, red to not be disturbed. Without the distractions of phones and televisions, the resort provides the opportunity to really unwind while in delightful accommodations. 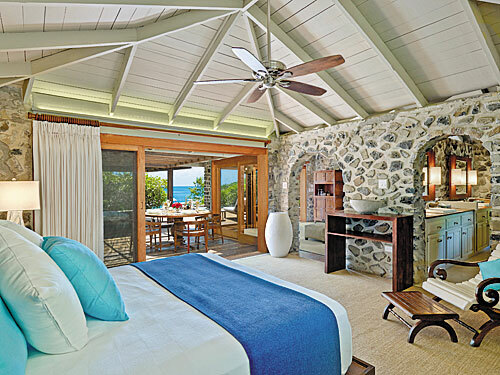 Designed in collaboration with Arne Hasselqvist, the architect responsible for the first villas on the nearby island of Mustique, the cottages speak to the elegance and simplicity of old world island charm. With just 22 villas and cottages, each one was carefully designed with consideration about position and lay out, ensuring breathtaking views and the utmost in privacy. Whether in an elevated cottage on one of the various bluffs around the island or in a luxury beachfront villa, all rooms which have been recently refurbished are generously appointed with super-king size beds, lounges, both indoor and outdoor dining areas, as well as ample sun-decks or beachfront gardens. While phones and Internet are frowned upon at PSV, modern amenities and comforts are at your disposal with Bose iPod docks, Nespresso coffee machines, fine Italian linens, and BVLGARI toiletries available in the rooms. Petit St. Vincent prides itself on outstanding hospitality and attention to detail, ensuring each guest feels pampered and tended to. Their extremely amiable and welcoming staff, mostly old-timers from the Grenadines, are ready to please and provide an unforgettable stay. With a staff-to-guest ratio of more than two-to-one, no request goes unmet. 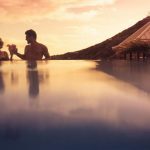 From customized day trips to a romantically planned candlelight remote dinner for two, all can be arranged for the perfect holiday experience. 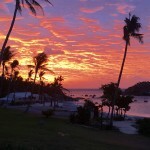 Boasting almost two miles of white sand beaches, PSV is a beachgoers paradise. 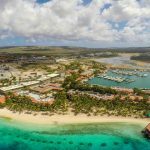 Frolic in the pleasantly warm turquoise waters and enjoy just about any water activity imaginable, from snorkeling, kayaking, and scuba diving to Hobie Cats and Windsurfs. For those looking to explore in style, charter a yacht to discover regional attractions like Tobago Cays and Sandy Island, as well as the many bays and crayola-bright reefs along the way. Adventure seekers must not miss out on the deep sea fishing for a day of fun-filled memories. Lounge on your ocean facing terrace and savor the gentle breeze cooling off the warmth of the tropical sun, or partake in sundown cocktails from the privacy of your deck while admiring the stunning Caribbean sunset. For further relaxation sign up for yoga on the beach or head to the spa for a rejuvenating treatment, a perfect end to your day. The treetop Balinese-inspired spa at Petit St. Vincent offers an extensive selection of massages and facials, manicures and pedicures. From a simple facial to a deep tissue massage, a plethora of revitalizing treatments are available. 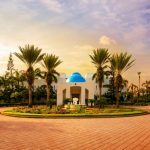 Regardless of your choice, the lush and tranquil surroundings themselves set the stage for the perfect mental and physical restorative getaway. If all the relaxation and aquatic activities have opened up your appetite, feast at one of the island’s two restaurants featuring casual yet elegant and delectable dining. The mellow and laid back Beach Restaurant, complete with a live lobster pool, is the quintessential island chic atmosphere where you can dine barefoot in the sand. 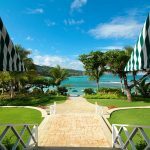 For a more formal and refined option, Pavilion Restaurant perched atop a hill overlooking the picturesque harbor, offers savory gourmet cuisine utilizing only the most fresh organic vegetables, fruits, eggs and herbs from the island’s expansively abundant gardens. 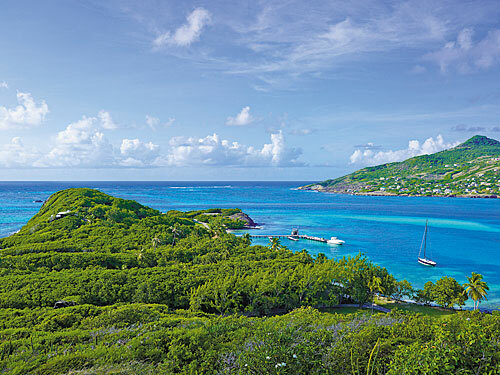 Whether on a honeymoon, seeking an all island rental for a group, or looking to disconnect from the world, Petit St. Vincent is the ultimate Grenadines private island resort that transports you to a blissfully simple and more peaceful world. 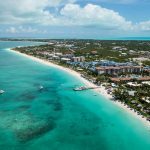 It exudes a powerful allure, a place where time seems to slow, where your cares melt away beneath the sizzling Caribbean sun, all while surrounded in an elegant and charming paradise. It’s no wonder PSV has such a passionate following of loyal guests, who return to this remote island again and again.